The skin ageing caused by passing of time and by hormonal diseases and worsened by induced UV rays makes skin weary and toneless. 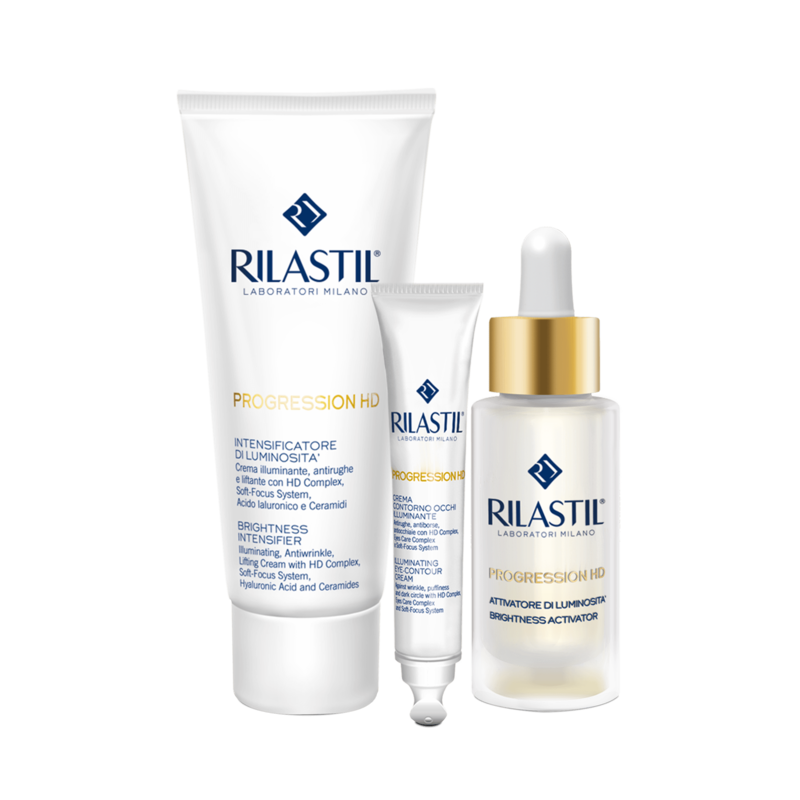 Rilastil Progression HD is the specific treatment with very high concentration of active ingredients having illuminating and smoothing action. 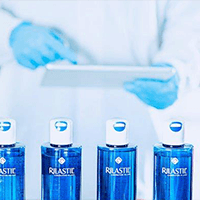 • HD Complex: complex of vegetable-biotechnological origin exclusively studied for Rilastil Progression HD, it visibly improves the skin capability of reflecting light. • Soft-Focus System: system of active ingredients with illuminating action and able to minimize the wrinkle scars: it softens the wrinkles thus spreading light. • Hyaluronic Acid and Sodium PCA: the moisturizing complex made of Hyaluronic Acid effectively contrasts skin dryness and gives turgor to dull skin. Sodium PCA ensures skin the right moisturization grade. • Shea Butter, Insaponifiable of Olive Oil: the nourishing complex characterized by the presence of Shea Butter with emollient, moisturizing and protective properties. It nourishes the skin, making it soft without letting it shiny (only in the Cream). • Ceramides: moisturizing, restoring and filling action.